Paul Greengrass’ (The Bourne Supremacy/Ultimatum) sobering depiction of the events that transpired on the fourth hijacked plane of September 11th 2001 is a film widely regarded as being a great film, but one you only really want to watch once. This was my third time. The first was just me watching the film. The second was due to Aisha never having seen it, and now I’m doing it for the List. I really don’t think I can take it a fourth time, so here’s hoping. Understandably, there is no humour or trace of lightness to this film. It is not enjoyable, but at times is inspiring, though more often devastating, heartbreaking and infuriating. We see the day as experienced by all involved – terrorists, passengers, flight crew and air traffic control, as for most what starts a normal day becomes one of the most significant events in modern history. The cast is impressively filled with unknowns, and in fact some of the air traffic control staff are played by those present there on that day. This greatly enhances the submersion into the film – anyone could die at any second, and any could rise up and become integral to the events. This is a must watch, not just because of the subject matter, but also the technical qualities – a handheld, up close style keeps us in the centre of the action. 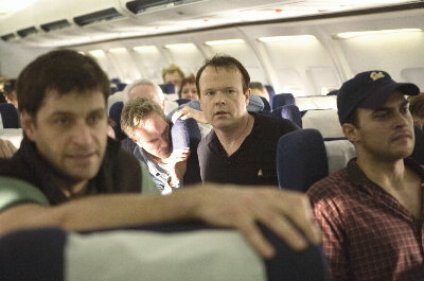 This entry was posted in 08/10, 1001, 5-Star 500, Choose Film, Empire Top 500, Review, The List and tagged Paul Greengrass, United 93 by jaycluitt. Bookmark the permalink.